Well, were you able to figure it out after my teaser on Friday? I have this huge love of Almond Joys. Really, a love of all things coconut. It’s one of those times in life where you realize your mother was right: your tastes change. See, until two Halloweens ago I hated coconut. Wouldn’t come near it. Then I tasted an Almond Joy from Jordan’s trick-or-treat basket. Now I want to put coconut in everything. I can’t even buy Almond Joys. If I do? I’ll eat the whole package. They’re too easy to eat. Two bites, gone. It’s not fair really. Coconut Cream stood out to me, as does everything coconut these days. What goes best with a coconut pudding cookie? Almond Joy. And then my mind started going and I came up with so many ideas. Too many for a week, but I gotta start somewhere. 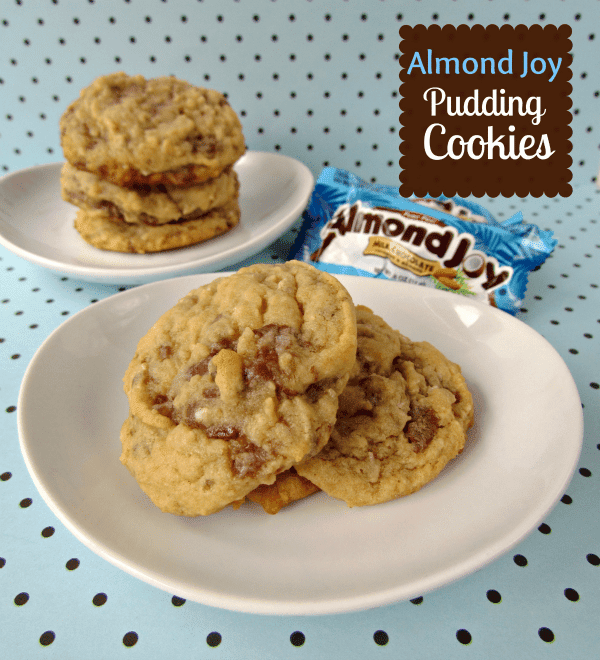 So it’s Almond Joy week. Three recipes made with or inspired my my favorite candy bar. And if you don’t like coconut? Well…have you tried it recently? My mom likes to say that your tastes change over time. Cream together butter and sugars. Add the pudding package and beat until well blended. Add eggs and vanilla extract. Slowly add the flour and mix until just combined. 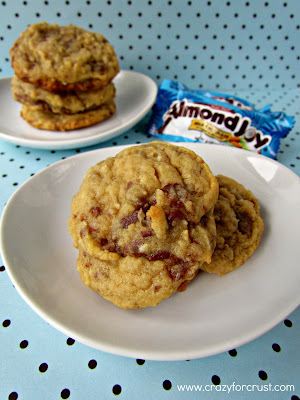 Stir in chopped almond joy candies. Roll into 1” balls and place on your cookie sheets. Bake for 10-12 minutes. Cool slightly before devouring. Almond Joy Blondie Bars by The Domestic Rebel. Almond Joy Brownie Bites by I Wash…You Dry. Almond Joy Krispie Treats by Inside BruCrew Life. Almond Joy Tart by Sweet Peas Kitchen. Almond Joy Cake Truffles by Sugar Mama. I have pinned these to my Cookie Jar board. And I would love for you to come by and share this post on the Creative Corner Hop. The linky party starts on Monday and stays open all week. Visiting from the Scrumptious Sunday party…these sound incredible! New follower! following from Sunday Hop! Those cookies and pudding are making my mouth water. Love for you to follow back and link up to Mom’s Monday Mingle tomorrow! Oh these look perfectly divine! I wish you’d consider sharing them on my Weekend Edition. 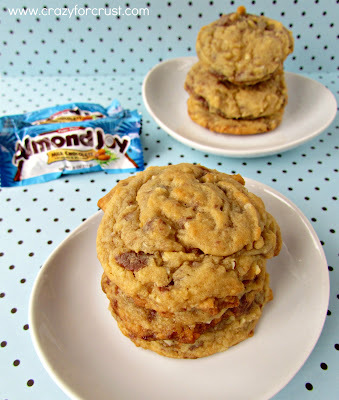 Ya know, if you let me know ahead of time, I’ll make the drive up the hill when you’re making Almond Joy anything! I’m sure you need a taste tester. lol Thanks for sharing at Creative Thursday last week (I’m so far behind!). LOL, I’ll remember that. Because there will be a next time. For sure! 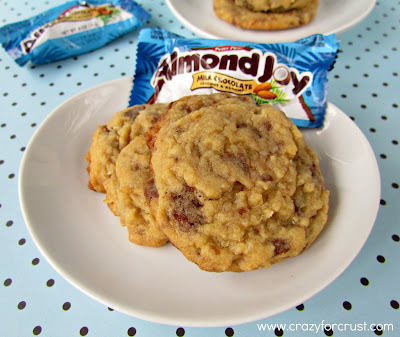 Almond Joys are my favorite and these look amazing! I’m definitely making this one! Thank you for sharing. Thanks Kelly! I hope you enjoy. Almond Joys are…wonderful! 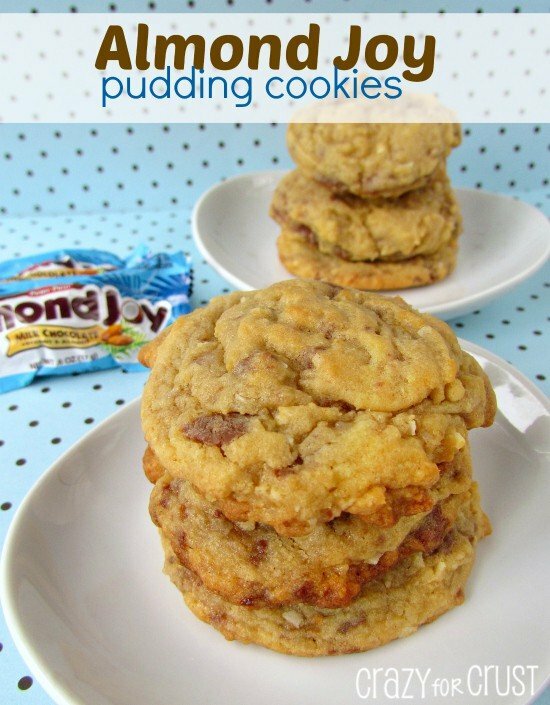 Hi I am thinking of making these for a party tomorrow and I am wondering how many cookies this recipe makes?